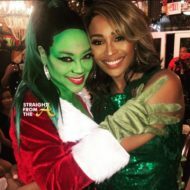 The season may be over, but apparently Bravo still had a few unseen clips to “reveal” to RHOA fans. Episode 24 was dedicated to to disclosing secrets from never-before-seen footage from season 5. 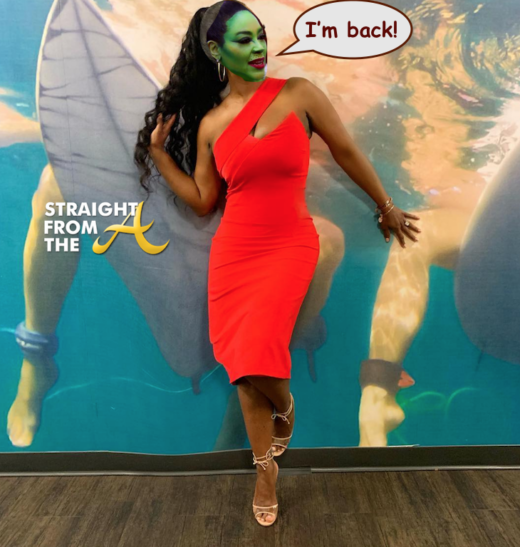 Bravo gave viewers an inside peek during the “Secrets Revealed” special, which featured previously unaired footage from several RHOA events including: Phaedra Parks‘ pet funerals, Cynthia Bailey‘s fashion show, Apollo Nida‘s photo shoot, Lawrence Washington‘s “salon opening.” the housewives’ reactions during reunion and more. 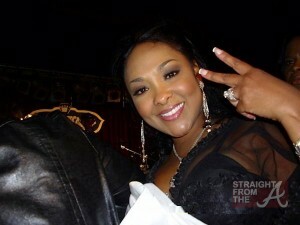 One scene leaked prior to the show, included Kenya Moore attempting to spread yet ANOTHER gay rumor. This time her focus wasn’t on Walter Jackson, but on her fellow cast mates. There were a few scenes that were entertaining, however the best “secrets” revealed last night were probably not intended to be disclosed. 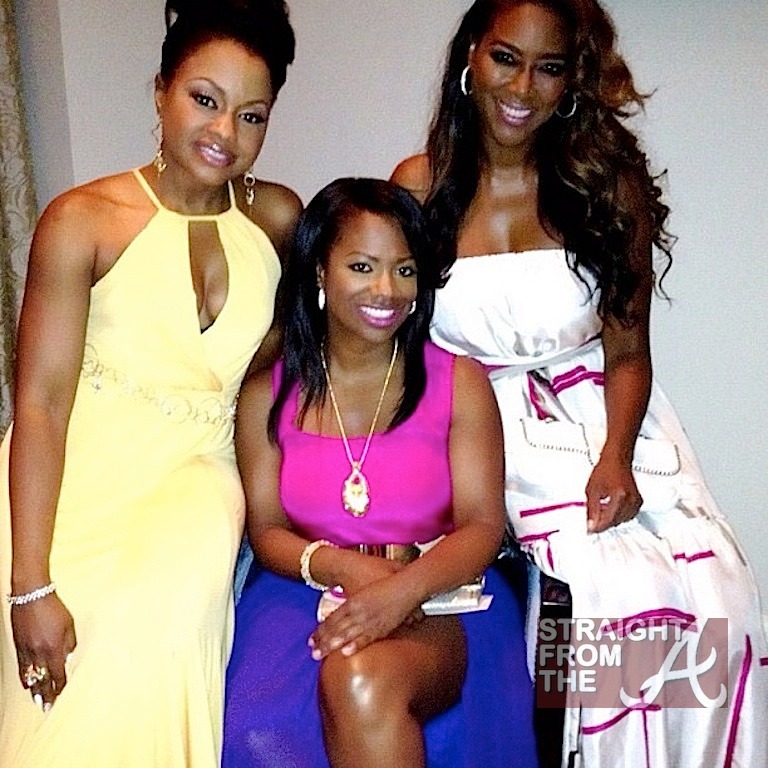 Phaedra Parks and Kandi Burruss and of The Real Housewives of Atlanta recently revealed that they were spending an evening with Season 5 newbie Kenya Moore. I was the first to tell y’all way back on May 5, 2012 that Kenya would be joining the cast and even though NeNe Leakes tried to cast doubt on my story with her statements on Wendy Williams‘ talk show, most of you guys know I would never steer you wrong (not on purpose anyway). I love it when you guys pay attention! 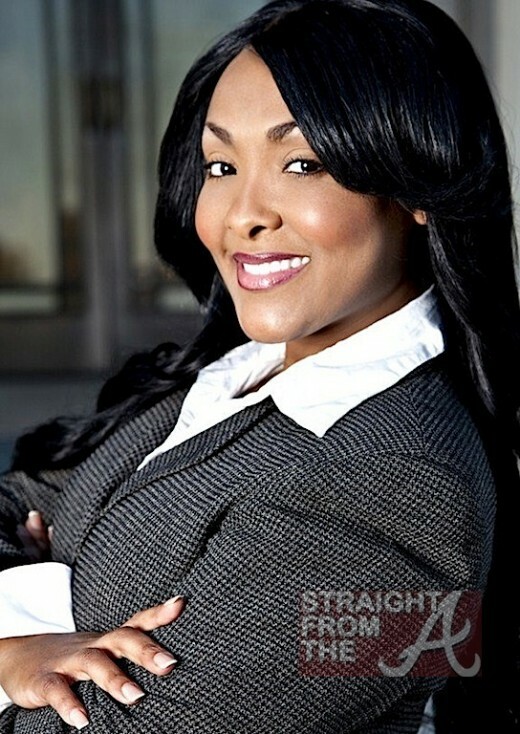 Meet Nicole Porche, the newest member of The Real Housewives of Atlanta! I finally found out quite a bit of info about this newest addition recently and I can’t wait to spill the tea! I exclusively revealed a few weeks ago that former Miss USA Kenya Moore would be joining #TeamTalls for season 5 and had also heard that #TeamSmalls would be getting a new addition as well, since Kim Zolciak is pregnant (again) and like last season, she probably won’t be taping as much with the cast. Granted, Bravo hasn’t officially confirmed any new additions yet, but have I ever steered you wrong… on purpose… yet? 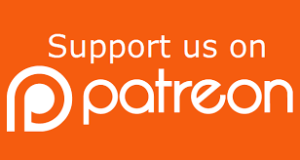 While other sites are reporting that Sharlinda Parker (wife of Q. Parker from the group 112) will be joining the cast, I’m not falling for it and neither should you.